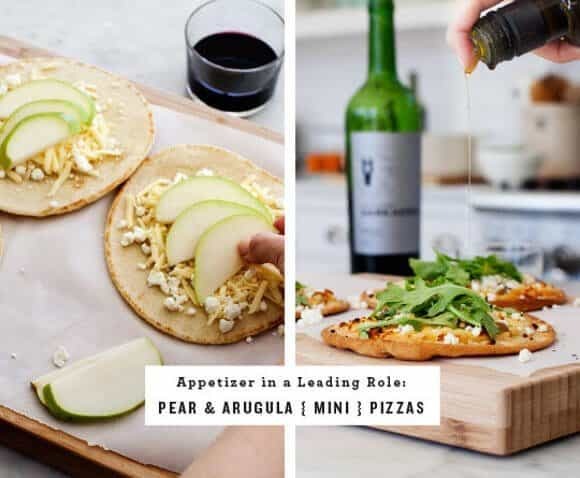 Vegetarian appetizer recipes and wine pairings for your Oscar party! Red Pepper Soup Shooters, Best Dressed Endive Spears, and Mini Pizzas. Whether or not you’re into the glitz and glam of it all, we love any excuse to gather over food and wine. We’ve partnered with Dark Horse Wine to create 3 fun Oscar-themed appetizers along with some unexpected wine pairings. To make things easy, most of this menu can be prepared in advance, and all of these Dark Horse wines are under $10 (Honestly – I was surprised when I heard the price because, to me, each one tastes much more expensive!). My favorite part of the Oscars is really the Red Carpet (aren’t the dresses everyone’s favorite?) I normally wouldn’t start a wine menu with a bold red, but I couldn’t resist the word play. In my opinion, “wine rules,” are meant to be broken. Why we love this pairing: The Big Red Blend is just how it sounds – big and bold – yet we found it to be really smooth as well. We love it with this red pepper soup that’s creamy, tangy, and just a tiny bit smoky. Special bonus: this simple soup can be made the day before your party. 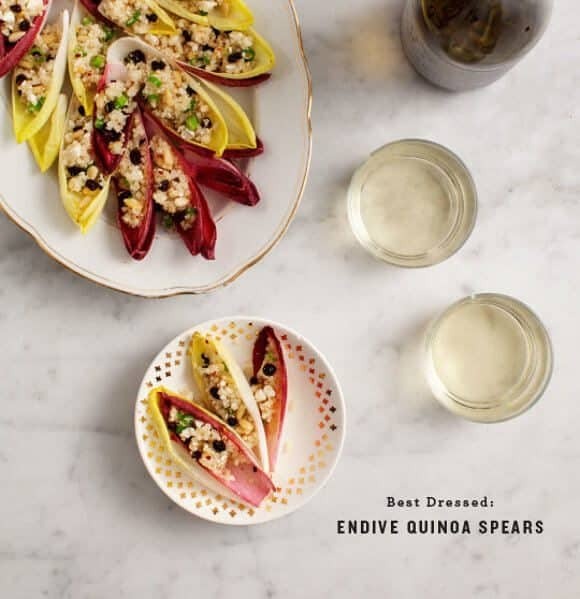 I can’t think of a more glamorous looking vegetable than endive. It’s such a swanky way to serve salad as an appetizer. And, conveniently, the quinoa filling can be made in advance. Break out your best fruity olive oil and dress this to the nines. Why we love this pairing: The creamy Chardonnay nicely contrasts with the bitter bite of the endive. 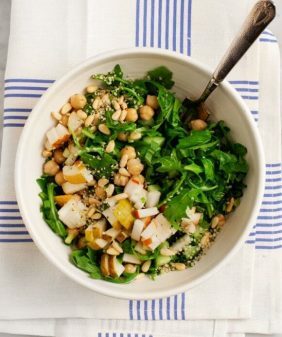 The tangy dressing and sweet currants bring out the peachy vanilla nuances in the wine. These little pizzas are easy but elegant – especially with bright, peppery arugula on top. They’re filling enough to be our “leading role” so that your guests will last through the too-long Oscar speeches. 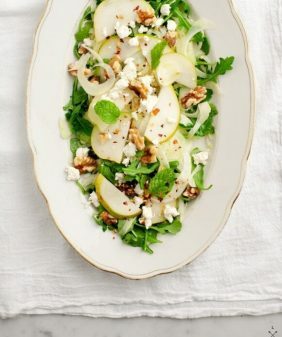 Why we love this pairing: An unexpected layer of pear “pairs” (pun intended, so sorry) well with this fruit forward wine. 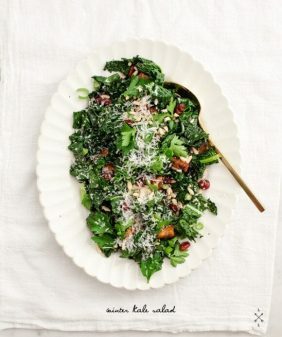 Salty feta and peppery arugula bring out the spicier notes in the wine. This post is sponsored by Dark Horse Wine – follow them on Twitter and Instagram @DarkHorseWine. All opinions, images and words are our own, thank you for supporting the sponsors that support L&L! Serves: Serves 4 as a regular soup portion, serves about 12 as mini appetizers. Heat oil in a medium pot over medium heat. Add shallots and a pinch of salt. Cook for a minute or so, then add carrots and cook until soft (about 5 minutes). Add garlic and red peppers. Stir, then add sherry vinegar. Stir, then add water, almonds, smoked paprika and a few more pinches of salt and pepper. Let simmer for about 15 minutes. Let it cool slightly, then blend in a high speed blender. Taste and adjust seasonings. For a richer soup, add a few more tablespoons of olive oil. If your soup is too thick, add a little water and adjust seasonings again. Serve in small glasses as appetizers, or store in the fridge for 1-2 days and reheat when ready to serve. Whisk dressing together, set aside. 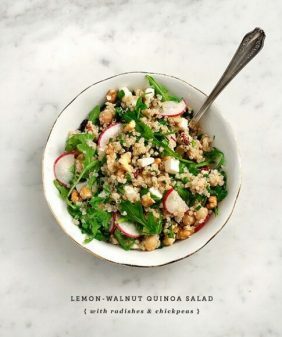 Mix together quinoa, feta, currants and chives. Toss with most of the dressing. Taste and adjust seasonings. Scoop mixture into endive spears and drizzle the rest of the dressing on top. Brush flatbreads with olive oil and rub with the open side of ½ clove of garlic. Sprinkle a layer of cheddar cheese, followed by a few slices of pear followed by another layer of cheddar and a bit of feta. Bake until the cheese is bubbling and the pears are soft (about 15-20 minutes). Remove from oven, top each pizza with a bit of arugula, a drizzle of olive oil and a few pinches of red pepper flakes. Depending on the saltiness of your cheese, you might want to add a pinch of salt and pepper as well. i’ve never tried dark horse wines, but these pairings look delicious! Can’t agree more. You certainly know what goes with what! I swear smoked paprika turns everything it touches into gold! Oh my goodness, I love this idea!! All the appetizers and the wine sound amazing. I love the way you’ve put the soup into shot glasses – it looks terrific, and those mini pizzas look so tasty. thanks Miranda! We use Easy Recipe. Ha, it’s 5 o’clock somewhere, right? 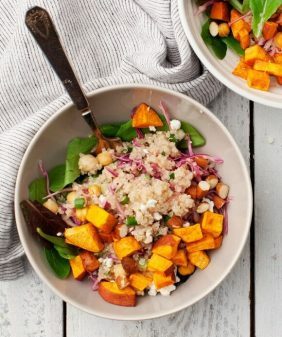 Everything looks absolutely delicious! I was wondering what to make for tomorrow’s Oscar festitivies and now I do, thank you! And those wine glasses are devine, I’ve never seen such a beautiful shape. Could you share where to find/purchase them? Thanks! 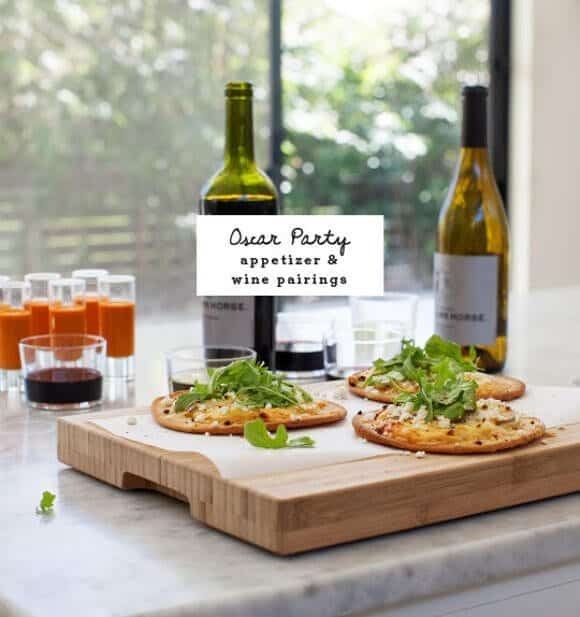 Wow, you’ve really made the perfect range of bites for a party. And I’m loving the Spanish romesco spin on the soup. Must make this! This is amazing! Very rarely get to read posts about wine pairings, so this is really great and refreshing to read…thanks! I would just like to take a second to appreciate the beautiful wine glasses. Love the post! 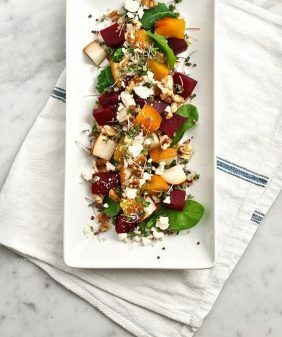 I always love your combination posts, like pairings, and different dishes to make depending on the season! 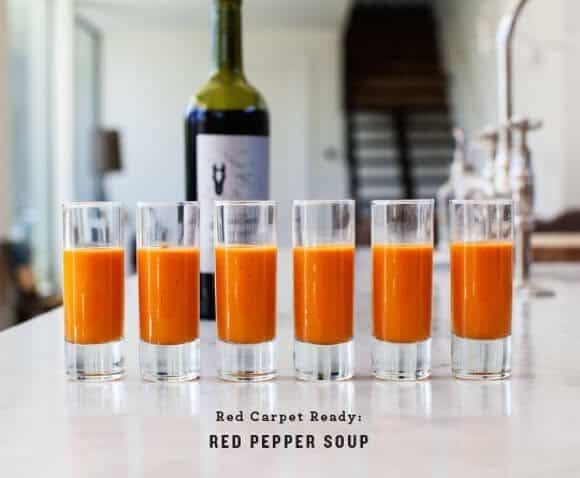 Made the red pepper soup for a dinner party appetizer last weekend, and it was delicious. I made about 1/3 more than the recipe called for because I had a hunch I would like it and want leftovers, and I’m so glad I did!! I’ll definitely make this again.